Though federal agencies have a variety of authorities to provide critical employees with additional compensation, a recent Government Accountability Office report found that these authorities were used for few employees in 2016. 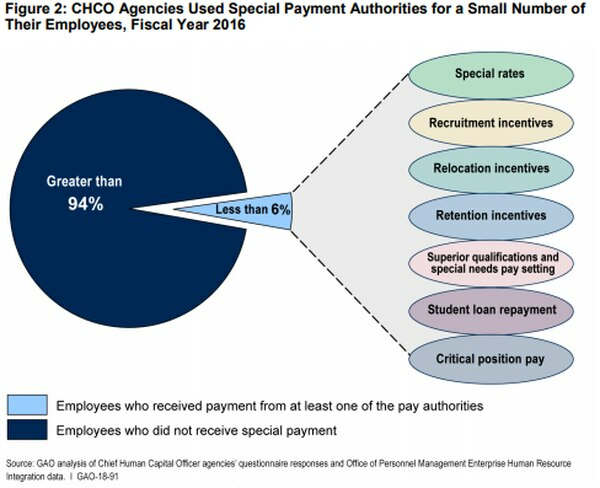 According to the report, only 6 percent of the over 2 million federal employees at the 26 Chief Human Capital Officer (CHCO) Council agencies received special payments. The least used authority – critical position pay – was received by as few as seven employees a year. Special Rates – agencies can request that OPM establish a higher rate of basic pay for jobs that address existing or likely gaps in employee recruitment and retention. Recruitment Incentives – can be paid to a newly-appointed employee if the position would be difficult to fill without that incentive. Relocation Incentives – can be paid to a current employee that mush move to accept a new position if that position would otherwise be hard to fill. 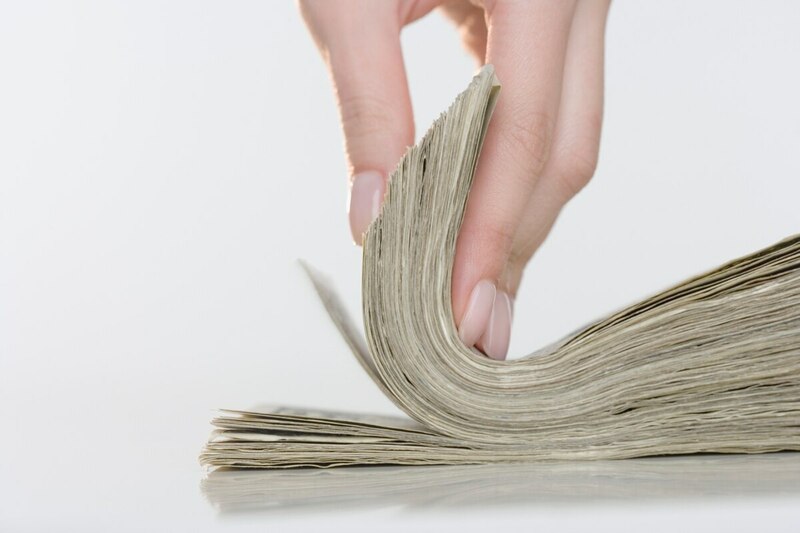 Retention Incentives – may be paid to a current employee if the skills or services they provide are essential to the agency, and the employee might leave without the incentive. Superior Qualifications and Special Needs Pay – agencies can set the basic pay of a new employee above the general schedule because of the employee’s superior qualifications or the agency’s special need of those skills. Student Loan Repayments – to recruit highly qualified talent, agencies can make repayments on an employee’s student loans if the employee signs a service agreement of three years or more. Critical Positions Pay – agencies can set a higher rate of basic pay for a position that requires extremely high level scientific, technical, professional or administrative skill. Though the report recorded how often federal agencies used the special authorities, it also noted a lack of documented assessments on the exact impacts of those authorities. Specifically, the report found that the Office of Personnel Management may be missing out on opportunities to fully assess the outcomes of special payments and inform agencies on the best uses of their funds. The report recommended that the director of OPM and the CHOC Council track governmentwide data to create a baseline for special payment efficacy and provide guidance and tools on how best to use special payments. The report also recommends that the director of OPM establish documented procedures to assess special payment authority requests requiring the agency’s approval. OPM partially agreed with the first recommendation, outlining plans to track recent data on special payments, which the report said would not be comprehensive enough to establish a true baseline. OPM agreed fully with the other two recommendations.